Adam Jay Epstein spent his childhood in Great Neck, NY when he wasn't held captive aboard his father's sailboat. He spent many days sitting in the neighborhood park, travelling to fantasy lands in his head (occasionally when he was supposed to be doing his homework.) In college, he circled the world on a ship and studied film at Wesleyan University. 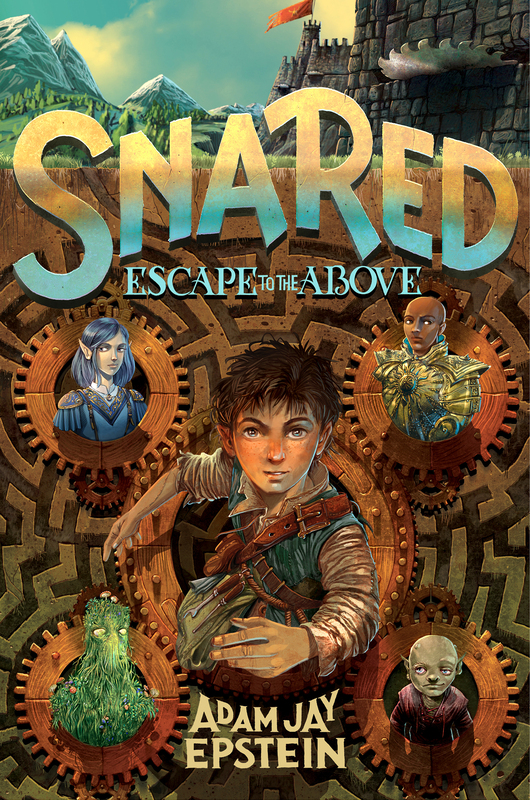 He is the author of the middle grade fantasy series Snared. The first book in the series, Escape to the Above, comes out on June 5, 2018. He is the co-author of the international bestselling middle grade fantasy series The Familiars and the middle grade sci-fi series, Starbounders. He has written film and television projects for Disney, Sony, Fox, MGM, Paramount, MTV, HULU, SYFY, and Disney Channel. He currently lives in Los Angeles with his wife, two daughters, and dog, Pixel. © 2017 | Don't read the fine print. Read a great book instead.